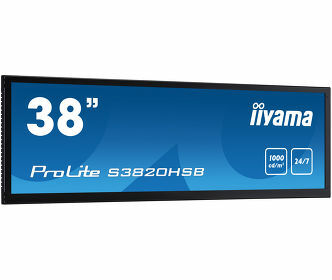 iiyama kick of January 2012 with the launch of a new 24” Optical Touch Screen. iiyama has today announced the launch of their new 24” Touch Screen, the Pro Lite T2451MTS ,featuring the latest Optical Touch technology. iiyama’s success over the years with their Touch Screen range has benefited many clients around Europe , including Football Clubs, Special Needs Schools and High Street Retailers as well as allowing Home User to get the best possible experience when using Windows® 7. 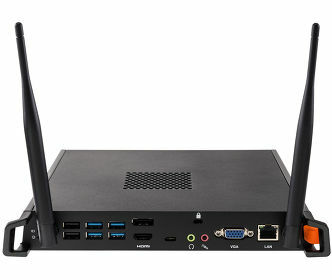 In addition to the Optical Touch Sensor , the Prolite T2451MTS comes with VGA, DVI and HDMI connections and an ultra fast 2ms Response Time. The Touch Screen function itself is handled via USB connectivity and includes a unique stand design, allowing users to tilt the screen all the way back to be used like a tablet. It is Energy Star 5.0 qualified and uses only 0.5W typically when in Power Management Mode for long-term cost efficiency. The screen is also supplied with stereo 2W speakers, Head Phone Socket and VESA Mount compatibility which all together makes it a fantastic all round screen for both Consumers, Education and Business. The demand for Touch Screens worldwide is growing, as more and more people become familiar with using Touch Screens on Smart Phones and Tablet PC Devices. iiyama are constantly growing with the market, and offer one of the most comprehensive ranges of Touch Screens, offering a variety of technologies in sizes from 15” to 65”.